Zebpay is india's largest and most secured cryptocurrency exchange. You can Buy Bitcoin, Bitcoin Cash, Ripple, Litecoin, Ethereum and more. 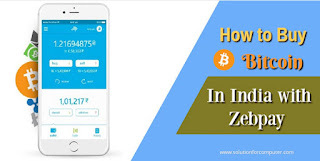 Zebpay is India's first bitcoin company to launch simplest mobile Bitcoin wallet app that enables bitcoin transactions using mobile number. In second half of January 2018, Zebpay released 2.0 version of their app adding multiple cryptocurrencies and exchange facility. Verify your number and set up account pin. On the home screen, go to the top right corner to open the options. Kindly read the instruction carefully and click 'continue verification'. Enter your email id and you will receive a verification email. Kindly read instructions carefully and click 'next'. Upload your PAN card, enter required details and click 'next'. Upload cancelled cheque / statement / pass-book and required bank details and click 'next'. Please read instructions carefully before submitting the documents. Upload front and rear of Aadhaar card and enter required details as per your Aadhaar card and click 'submit'. This is Zebpay's regular bank accounts. Payments are processed manually and so take time.You can pay to any of our bank accounts mentioned. 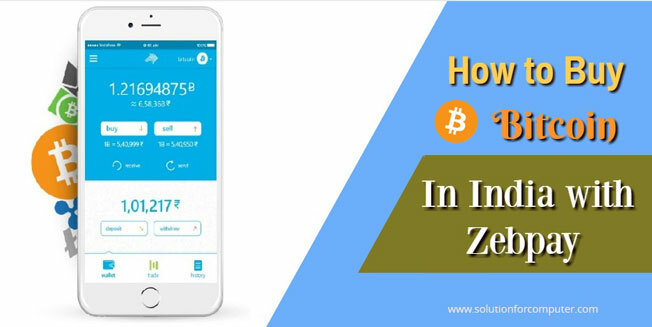 The deposit made by you under this method takes time to reflect in your Zebpay app. When you make the payment from your bank account, in remarks, only enter the Rs deposit order number and nothing else. Please note that after creating a Rs deposit order, you need to make payment from your bank account to Zebpay's bank account via RTGS / NEFT or IMPS. After making the payment, you need to submit the payment reference number in correct format and attach a screenshot of payment reference number from your bank statement so that we can track your payment and add the amount to your Zebpay app. You can make payment from within Zebpay app itself. Payments are processed instantly. Payments have higher banking charges. You can make Rs deposits of up to Rs 5 lacs per transaction via the Payment Gateway option. In remarks, please only enter your mobile number and do not mention anything else. Click on “trade” or “buy” from home screen. Enter the amount of cryptocurrencies you want to buy. Basis the last rate price, enter the set price at which you want to buy cryptocurrency. Click here to know how to set price. Please make sure to have required Rs balance before you place buy order. Click on “place buy order” to proceed. Enter your pin to confirm the order. Your buy order has been placed. You can see your current/pending buy orders in “My order”. Tap on “History” to see the history of buy and sell orders processed till date. Hello sir can you please tell me how you have added a recommended push notification widget? In this app notification is default you can disable or manually set as par price in setting menu.